When bands go theatrical, I usually lose my interest in them, usually for reasons relating to polished (soulless) production or to songwriting that just feels unnecessarily grandiose. The Wonder Years have been on a spiral towards writing a rock opera for a couple of albums now, where their 6th full-length "Sister Cities" is the culmination of a progression away from their realist pop punk roots towards a broader alternative rock sound. So given that context, it's perhaps unsurprising to find yours truly struggling to find a footing with the record, whereas many others have been praising this record to skies since its release in April. A contrarian review from the minority's perspective it is, then. Let's start with the positives. 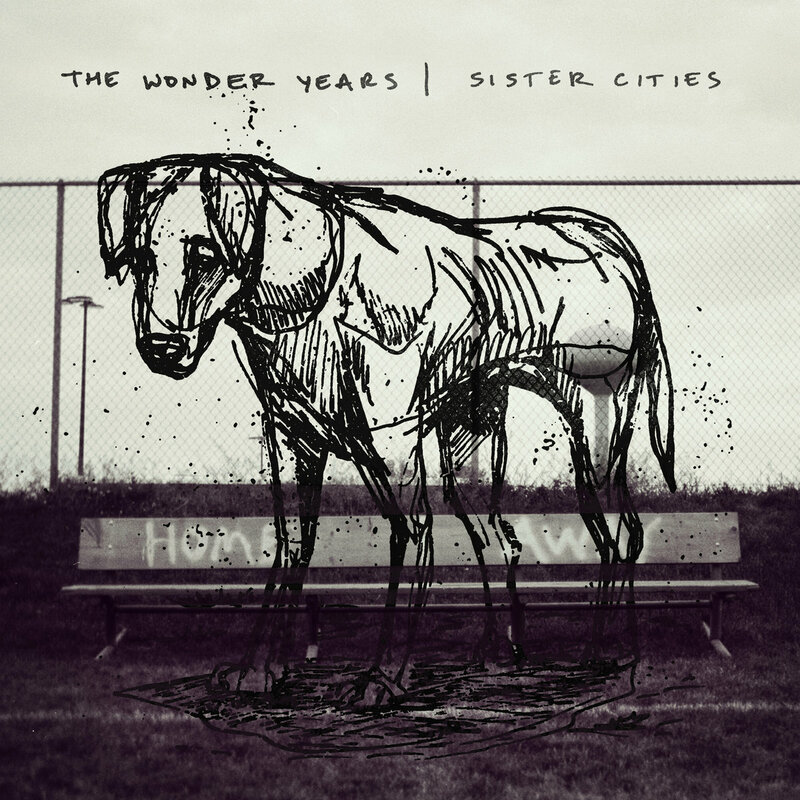 "Sister Cities" is by far the most ambitious and biggest sounding release by The Wonder Years to date. It carries a sound that aims for larger venues and thus for more expansive soundscapes, even if Soupy's signature style whiny croons still fly high above the instrumentation as the spotlight of their expression. The melodies and tempos have been slowed down considerably at the cost of the explosive emotional realism that characterized the band's career for so long. The resulting expression is one that is best characterized at mellow, with the occasional grand crescendos that drive the soundscape into a theatrical atmosphere. "It Must Get Lonely" is a great example: it's tranquil and nostalgic to start out with, but slowly grows louder and louder, finishing in a passage where Soupy is screaming from the top of his lungs, where his voice is almost cracking his voice in the process. It's emblematic of the record's problems as a whole, however. While there are elements that are good and the composition is leaps and bounds above their masterpiece "Suburbia...", the songs just aren't that memorable. The far-reaching, expansive arena rock sound distracts from the excellent lyricism and leaves behind an impression that the band is trying to sound massive just for the sake of sounding massive. Did these songs really need to sound this big? Coupled with an unbalanced production that occasionally leaves behind a muddy atmosphere, the songs just don't feel like they have a real purpose (despite the lyricism suggesting otherwise). We're simply lacking in infectious songs, something I've felt like has been the case ever since the second half to "The Greatest Generation". To underline the stylistic shift this band has taken, you could start with the title track "Sister Cities". It basically steals its lead melody from Alkaline Trio and/or Bayside, but where both bands wrote this same song much better. To think that this is the same band that wrote catchy, upbeat, and passionate songs like "Came Out Swinging" or "Hoodie Weather" seems like ancient history "No Closer To Heaven" but especially on this album. A theatrical, grander, more atmospheric, larger-than-life soundscape? 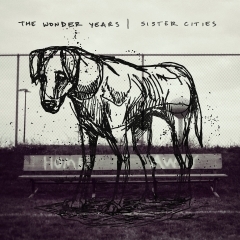 As usual, it is not a good choice, and likely a turn-off for quite a few older Wonder Years fans who just aren't ready for the band to evolve in this direction, this writer included, who simply finds this record boring and forgettable. Bring back the realist pop punk, pretty please?